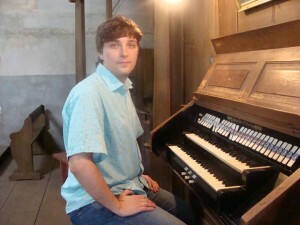 The aim of the Association is saving of monumental organ in the Saint Family Church in Chełmsko Śląskie before its destruction. The Association started its work in 2004. Nowadays it counts 24 members who act only socially. 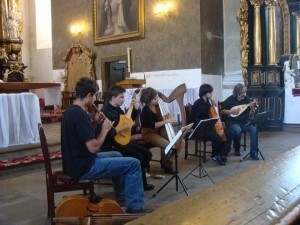 The Association „Ukłon dla Cecylii” (“Homage to Cecilia”) is non-profit organization. Today, this village still retains its original layout of streets and buildings, testifying to its former urban character. The first records of the axistence of Chełmsko Śląskie as a town date back to the thirteenth century. From the mid-fourteenth century it was owned by the Krzeszów Cistercians. In the sixteenth century it became a famous centre for both the practice and the trade of linen and cloth weaving. Chełmsko Śląskie fell into decline during the period of the Thirty Years War (1618-48), and even lost its city rights for a while. 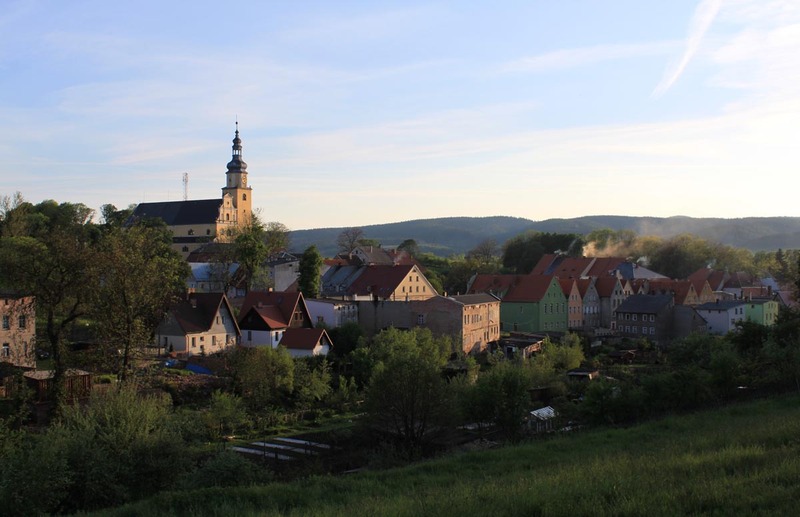 The village′s revival came between the seventeenth and eighteenth centuries, when flax weaving developed as a cottage industry. Cloth manufacture spread from here, not only throughout Europe, but even as far as America. This produced the most important monuments in the village which can still be admired to this day. These include “Dwunastu Apostołów” (Twelve Apostles) houses of weavers, dating from 1707, which ranks among the ten most interesting timberbuild monuments in Poland. Every year Chełmsko Śląskie is host to the two-day festival “Z lnem w Europie” (The Flax in Europe).. It was once a parish church for the town of weavers and drapers, which belonged to Cistercians for centuries. Often the artist from Krzeszów worked here. The first church had been mentioned in 1342, and the current was built in 1670-1691 in the baroque style by Bernard Rosaʼs foundation according to Martino Allioʼs plans. The interior is a single nave, on the sides of which there are rows of chapels with matronea above them. The walls and ceiling are decorated with stucco. Rich equipment has survived. Main altar from 1712-1713 was made by Christoph Königerʼs workshop with a painting of the Holy Family probably by Felix A. Scheffler. The pulpit was made by Krzeszów woodcarver G. Schrötter in 1686. In the southern nave a late-Gothic relief depicting the Coronation of the Virgin from about 1500, associated with so called Master of Lubin Statues. Numerous baroque paintings inter alia by Felix A. Scheffler and Georg W. Neunhertz.